Jack Wilshere has tipped Arsenal’s 17-year-old starlet Emile Smith Rowe to make an impact within the first-team set-up in the not so distant future and is also insistent that the confident teenage attacker is one of the club’s finest products from its distinguished youth system in recent years. 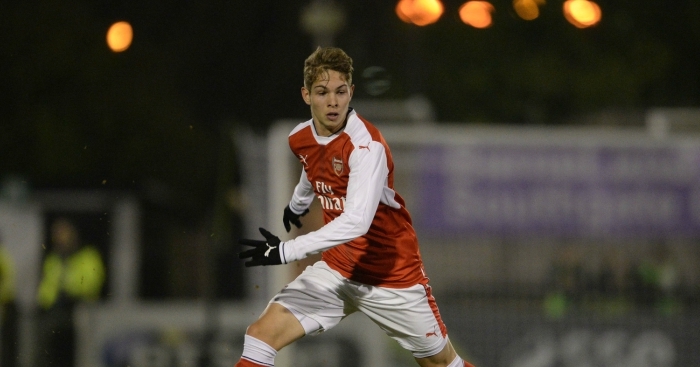 A member of the Gunners’ U18 fold, Smith Rowe’s presence on the pitch certainly doesn’t slip under the radar, in fact, he’s an undisputed future ace of the English game and Wilshere, who’s witnessed his flourishing talents first hand, believes that the youngster’s creative flare will ultimately be an invaluable asset to the north-Londoners senior squad, as and when the time is right for his graduation, of course. Arsenal host FC Porto at the Emirates in the final of the Premier League International Cup on Tuesday evening and Smith Rowe, who’s conventionally familiar to delivering precise, marauding advances towards the opposition’s defensive quarters, will be relishing the opportunity to impress his parent club further on a stage of unquestioned importance and magnitude. Share the post "Jack Wilshere tips ‘special’ Arsenal starlet to make first-team impact"